KAYA KINONDO, Kenya, Jun 23 2015 (IPS) - Travel into the heart of Kenya’s southern Coast Province, nearly 500 km from the capital city of Nairobi, and you will come across one of the planet’s most curious World Heritage Sites: the remains of several fortified villages, revered by the indigenous Mijikenda people as the sacred abodes of their ancestors. Known locally as ‘kaya’, these forested sites date back to the 16th century, when a migration of pastoral communities from present-day Somalia is believed to have led to the creation of several villages covering roughly 200 km across this province’s low-lying hills. Having thrived for centuries, developing their own language and customs, the kayas began to disintegrate around the early 20th century as famine and fighting took hold. Today, although uninhabited, the kayas continue to be worshipped as repositories of ancient beliefs and practices. Thanks to careful nurturing by the Mijikenda people, the groves and graves in the kayas are all that remains of what was once an extensive coastal lowland forest. The discovery in the last three years of large deposits of rare earth minerals in this region has marked the kaya forests out as targets for extraction, development and displacement of the indigenous population. As property developers and resource explorers eye these ancient lands, locals are squaring off for a fight in what the World Bank has called one of the fastest-growing economies in sub-Saharan Africa. Numbering some 1.9 million people, according to the most recent census, the Mijikenda community comprises nine distinct tribes who nevertheless share a language and culture. Each tribe has its own unique kaya, which simply refers to ‘home’ or to a village built in a forest clearing, Ali explains. As a result, some 50 kayas spread throughout Kwale County, Mombasa County and Kilifi County in the Coast Province are home to an exceptionally high level of biodiversity. 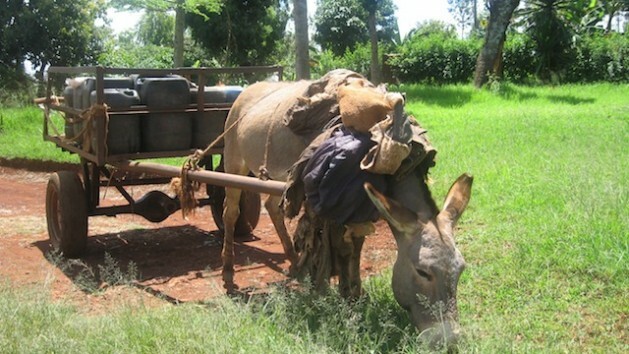 Kenya’s own ministry of environment, water and natural resources has declared the region a biodiversity hotspot and pledged to allocate the necessary funds and resources to its protection. But it is more than just a rich ecological belt. 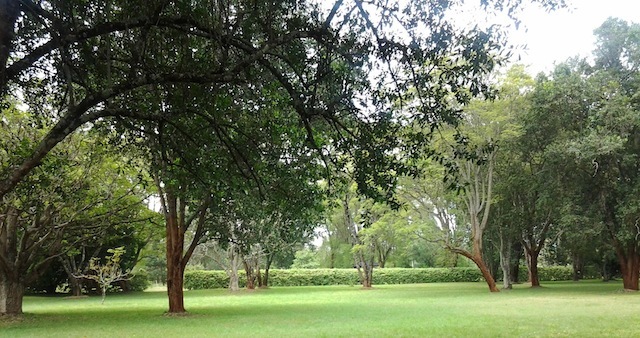 Furthermore, the forests are highly prized as a repository of medicinal plants and herbs, according to Eunice Adhiambo, project manager at Ujamaa Centre, a non-governmental organisation founded on the philosophy of “building social capital, not capital accumulation” as put forward by Tanzania’s first independent leader, Julius Nyerere. Dedicated to empowering exploited communities in Kenya, the Ujamaa Centre supports the Mijikenda’s struggle to preserve these “unblemished and very unique landscapes”, Adhiambo tells IPS. “Although kaya forests constitute about five percent of the remaining closed-canopy forest cover of Kenya’s coast, 35 percent of the highest conservation-value sites are found here,” she adds. But not all residents of this country of 20 million people share this view – particularly not economists, investors and policymakers keen to realise a forecasted economic growth rate increase from 5.4 percent in 2014 to six or seven percent over the 2015-2017 period. 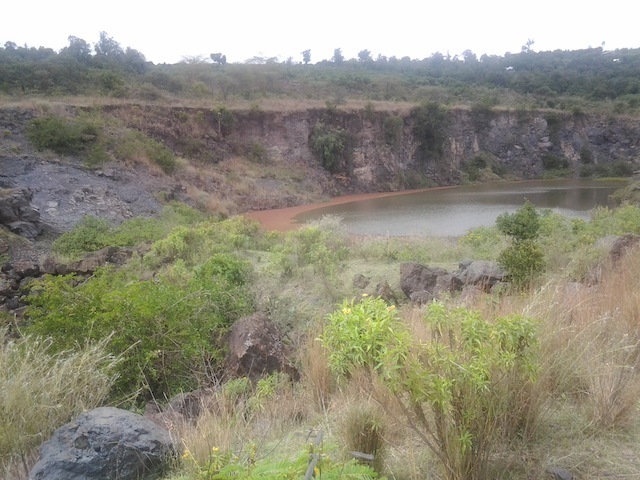 Kenya’s profile as a potential top rare earth minerals producer rose significantly when, in 2012, mineral explorer Cortec Mining Kenya Ltd. announced it had found deposits worth 62.4 billion dollars. At the time, the mineral exploration company planned to sink between 160 million and 200 million dollars into a drilling operation at its Mrima Hill prospect, also home to kaya forests. The corporation projected initial output of 2,900 to 3,600 tonnes of niobium, an element used in high-temperature alloys for special kinds of steel, such as is used in the production of gas pipelines, cars and jet engines. Experts estimated the deposit at Mrima Hill to be the sixth largest in the world, with a mine life of 16-18 years. Fully exploited, it would put Kenya among the ranks of the major niobium exporters; in 2012, Brazil accounted for 95 percent of the world’s combined annual niobium production of 100,000 tonnes, while Canada followed at a distant second place. As environmental groups and civil society organisations concerned about the impact of mining on sensitive ecological and cultural sites mounted a huge challenge, the government revoked an initial 21-year license granted to the company – though it did not cite environmental causes for its decision. In early 2015, the government upheld a court decision to revoke the license, and announced plans to bring mineral exploration under state control. This news has not, however, been met with much optimism from indigenous communities, who continue to view Kenya’s ambitious economic development agenda with trepidation. Both the extractive and real estate sectors have emerged as major drivers of the country’s growth in the coming decade, and deposits of rare earth minerals could be a huge boon for the country. Ernst & Young say demand for rare earth minerals is rising, with their market share estimated at between four and six billion dollars in 2015. While China currently meets 90 percent of global demand, Kenya – along with other African nations like Somalia, Tanzania, Mozambique and Namibia – could crack the Asian giant’s monopoly. In addition, discoveries of oil and natural gas in 2013 in Turkana County, on Kenya’s border with South Sudan, together with news that explorers had tapped into titanium deposits along the 500-km coastline, re-ignited fears of massive encroachment and destruction of kaya forests. The Ujamaa Centre says that some indigenous communities are beginning to give in to the pressures of extractive industries and the lure of quick money from real estate developers. Kaya Chivara, located in Kilifi County, for instance, is completely degraded as a result of human encroachment, while others – particularly those in mineral-rich Kwale Country – are at high risk. “Imminent niobium extraction will certainly degrade the forest,” Ujamaa’s Adhiambo predicts, stressing that the Mijikenda people are now poised to play a major role in halting any potentially destructive development. So far, despite developers of all stripes hungering after the land – with some property developers even buying up tracts that encroach into protected areas – Kaya Kinondo remains in safe hands. The Council of Elders has been vigilant about protection of the forest, and the community has fallen back on their belief in powerful rituals to ward off bad omens. Mijikendas say that two pillars govern the spirit of the kaya forests: either a curse or a blessing. For those who do not subscribe to his convictions, the Kenyan constitution is also proving to be a source of protection, with Article 44 providing for community participation in the resolution of disputes over customary land. The Ujamaa Collective, which works to enhance popular participation in socio-economic processes and supports community based decision-making and governance, believes the government must be held accountable to these clauses. She says that community discussions with Josephat Chirema of the County Assembly Committee of Culture and Development has borne fruit, with the committee member promising to introduce debate in the Kwale County Assembly to establish and obtain detailed information about kayas – and the need to work with indigenous communities for their preservation. Now, caretakers of several other kayas are working closely with the Kaya Kinondo Council of Elders, for lessons on how to salvage what is left of their hallowed heritage.